Will NASA make good on its promise to let the public pick the name for the new wing of the International Space Station? Comedian Stephen Colbert certainly hopes so. And Colbert, the host of The Colbert Report on Comedy Central, will get his answer Tuesday night. NASA is expanding the space station with the addition of Node 3, which will house life support equipment and controls for the station's robotic arm. Node 3, however, isn't a very catchy name, so NASA started an online poll to let the public name the new wing. What NASA may not have been counting on was Colbert spurring on his fans, known as Colbert Nation, to go online to NASA's web site to write in "Colbert" as the new name for Node 3. And Colbert Nation not only voted, they voted in droves. The digital ballot box stuffing worked. The name "Colbert" actually got more than 230,000 votes - that's 40,000 more votes than the top-ranked NASA-suggested name, "Serenity". "The node naming poll was organic and took on a life of its own," said Bill Gerstenmaier, associate administrator for Space Operations at NASA, in a statement. "We received more than a million entries, in large part because social media Web sites and television programs, such as The Colbert Report, took an interest. 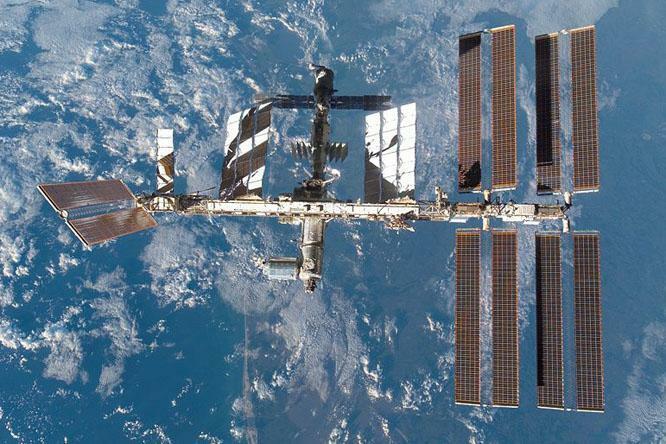 This spread overall awareness of the International Space Station." But will NASA actually name the wing after a comedian? It's been a bit up in the air, with space.com reporting that NASA insiders had tossed around the idea of naming the space station's new toilet "Colbert". Colbert prodded NASA on his show, saying, "It's been two very long weeks since I won NASA's online poll to have a node on the International Space Station named after me but still no official announcement," he told a cheering audience. "NASA, don't make me strap a rocket to an intern and launch him into space with a can of spray paint." All will be revealed Tuesday night. NASA is sending astronaut Sunita L. Williams, who served as a flight engineer aboard the International Space Station, to make the announcement on The Colbert Report Tuesday night. Williams has conducted four spacewalks, totaling 29 hours and 17 minutes outside the spacecraft. She has spent 195 days in space. "I certainly hope NASA does the right thing," said Colbert, in a statement. "Just kidding, I hope they name it after me."